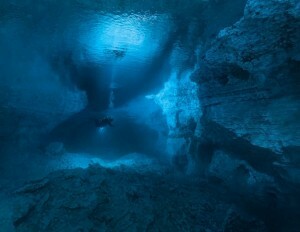 The world’s first underwater cave spherical panorama was recently photographed inside Russia’s Orda cave, the world’s longest underwater gypsum cave. 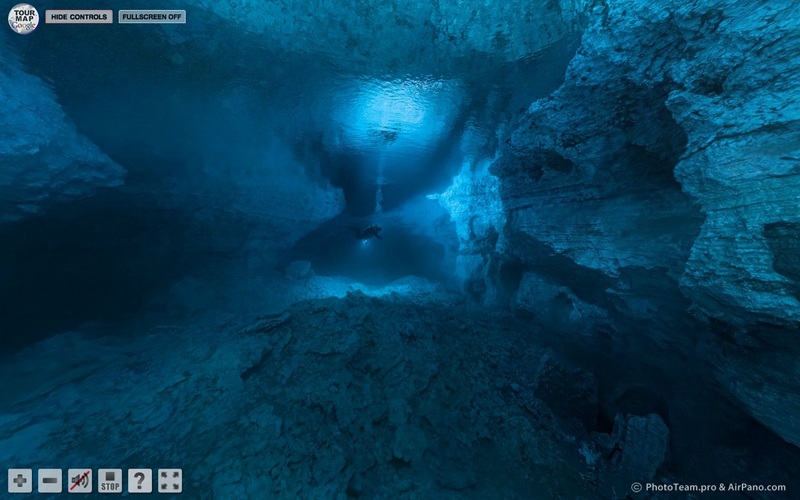 Created by a team from AirPano and Phototeam.pro, the same folks who worked on the Orda Cave Awareness Project in 2010, this 360 degree panorama was “the next logical step” to make this unreachable beauty accessible to most people. Located on the shore of Kungur River in the southwest corner of Orda village in Russia’s Perm region, Orda cave is 5.1 kilometers (3.2 miles) long, with nearly all but 300 meters (984 feet) being under water. Besides returning to Orda Cave, the team has a list of other locations to shoot including in the Baltic, the White Sea, the Blue Lake (Chirek-Kel) in Kabardino-Balkaria, the Tkhach Caves in Adygeya, the Issyk-Kul’ Lake, and land caves of Ural.